The usefulness of the lemon and the ways it is used in cooking and cosmetology is said very much. And women use both culinary recipes and beauty tips. But the fact that a lemon can be used for a variety of purposes in the household, few know. But this is a faithful and completely harmless assistant. This is especially important if you have an allergic reaction to household chemicals. 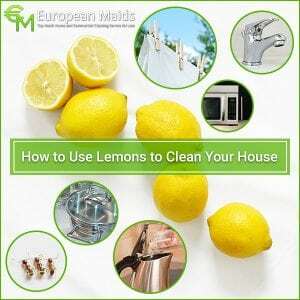 Lemon can be used to remove stains. So, the stain from the felt pen will be perfectly cleaned out if you mix lemon juice, table salt and apply the mixture to a dirty place. You will only have to rub the stain and then stretch the clothes. With the help of lemon it is possible to remove stains from blood and even from rust on clothing. Put the lemon juice on the soiled places, sprinkle the salt, and then put the thing in the sun. In a few hours, there will be no trace of the stain. If things from a white fabric have turned yellow from time, then boil it in water, which was added with lemon juice. Tablecloths after feasts can be very difficult to wash off stains. But the spots from beer and wine, too, you can try to withdraw with a lemon. To do this, rub them with half a lemon and hold in the sun. Then you will only have to stretch out the tablecloth and rinse it in cold water. But, using lemon juice to remove stains, remember that this is an acid, and therefore you need to be careful with delicate and colored fabrics! Lemon also helps when cleaning in the house. So porcelain vases, figurines, etc. can be washed with cold water with the addition of lemon juice. They will shine with bright colors, like new ones. And the taps in the bathroom and in the kitchen, too, sparkle from cleanliness, if you brush them with lemon peel, and then wash with soapy water and wipe with a dry rag. With the help of lemon, you can return the gloss to metal pans. To do this, rub them with the lemon skin, on which the pulp remains, and then rinse with water. The lemon will help to get rid of the calcareous plaque. Lemon juice should be applied to the surface and after some time washed off with water. Many housewives suffer from house ants and are staggering in search of a means to destroy them. Try to grease the lemon juice with the accumulation of these insects, and after a while you will be pleased with the result of your actions. Did you know that if you put a lemon in a fruit bowl, it will help to preserve their freshness for a long time, and the unripened bananas next to the lemon will quickly ripen and not spoil. While preparing food, we sometimes notice with displeasure that our hands get the smell of fish, onions, garlic. And if you rub them and at the same time the knives that you used, the pulp of lemon, and then wash, then the smell will not remain a trace. The lemon will also help to get rid of the smell in the microwave. To do this, put a few slices of lemon in a cup of water and put in the microwave oven for two minutes, including full power. Absorb lemon and unpleasant smells in your refrigerator: cut the lemon in half and put it in the refrigerator for a while. The irritating smell of cauliflower during its heat treatment will also disappear if you add a small slice of lemon to the water. How to keep the kitchen clean? Learn how to clean the slab, get rid of the lime coating and rust on the faucets. Where in the kitchen should I clean? Everywhere! This task may seem unbearable, but the kitchen is the place where you prepare food. Therefore, it is absolutely necessary that the working surfaces, dishes and appliances are perfectly clean. In the kitchen, there are millions of microbes. Most of them are harmless, but there are also such as, for example, E. coli and Salmonella, which can become a catalyst for diseases, especially in children and older people. Therefore, keeping the kitchen clean is not a whim, but a vital necessity. But there is good news. There are many ways that will make your kitchen almost sterile and do not take much time. Here are just a few tips to make your kitchen clean, beautiful and extremely hygienic. Dangerous microbes spread with incredible speed, so it is very important to keep clean not only pots and pans, but also other surfaces and objects in your kitchen. Microbes can settle in the most unexpected places: on the switch plates, on the buttons on the microwave or on the faucet – that is, on any surface to which you touch hands dirty with raw meat or eggs. If you ever wondered how you can clean a gas stove or a work surface, here are some tips. It is best to use kitchen cleaners that are very effective and do their job well, making your kitchen clean and safe. Clean the glass ceramic plate will help a special scraper and detergents, often produced by the manufacturers themselves of these plates. The plates of the electric cooker are also unpretentious, and a wide range of products is suitable for them. There are two main reasons why you need to keep the faucet and kitchen sink in the kitchen clean. First, microbes begin to multiply there, so you need to thoroughly wash the sink after cooking. Secondly, nobody likes dirty fingerprints on the shiny surface of the faucet. The work surface in the kitchen should be washed after each cooking. It is very easy! If you cut vegetables or fruits, simply wipe the surface with a damp cloth. If you cook meat, which could contain salmonella or E. coli, it is better to use antibacterial cleaning agents. If you prefer natural cleansers for the kitchen, then you have plenty to choose from. To the floor and work surface shone, try mixing the water and vinegar in equal proportions and wipe them. This solution not only removes dirt, but also neutralizes unpleasant odors. Pet Stain Cleaning Calls For Power! We love our pets, but to be a responsible owner one must take care fo the pet and any damage it produces. This is why pet stains are something that calls for quick action and patience. Paper towels or other absorbent cloth must be put down on the fresh stain first. Tap the cloth slowly and then put on more pressure to absorb the liquids If it’s a dry stain, you’ll have used a solution to break up the stain so that saturation and absorption are possible. Add fresh paper towels and cloth to absorb all the liquid and then repeat after you’ve put a bacterial/enzyme digester down and repeat the process Next put a piece of clear plastic over the stain to allow the solution to work. Time depends on size and severity of the stain but usually, an hour should do. Now you can use towels or cloths even brushes to remove any remaining solution and let the arm dry. If need be you might have to vacuum excess dirt or residue granules. Wait to see if any discoloration has occurred and if need be, start over to remove more if the stain is a major cleaning challenge. The old standbys like vinegar and warm water do wonder. There are commercial products available that one might want to check out and for the Green folks out there, they are environmentally friendly products you just have to search for them. Different pets make different messes so what a cat does is definitely different from the dog. Both urinate and drop feces but the two species are unique in how they do so. If things get out of hand and you need more cleaning power, it’s best to think about hiring a professional cleaning expert They’ll know what materials to use and how to handle the damage without creating more. They may also have better advice on how to prevent such things and how better to remedy situations before having to call them in. You want your house to look and definitely smell good. Pets can make that impossible when they get out of hand. There’s just so far you can go with controlling an animal and that means being prepared for accidents. So keep cleaning supplies around in a handy way and then do what’s needed to keep your home neat and sparkling fresh. Don’t forget to get a good pet trainer if things really get out of hand. They can do wonders with our furry friends. Vinegar has been used for cleaning ever since man found out its usefulness millenia ago. In today’s modern age of high tech wizardry, vinegar may have been overlooked by far too many people in regard to its effectiveness as an all around cleaner. Fortunately, thanks to the Green movements and to old wives’ tales, Vinegar has made a resounding comeback of sorts as the go-to cleaner of choice. 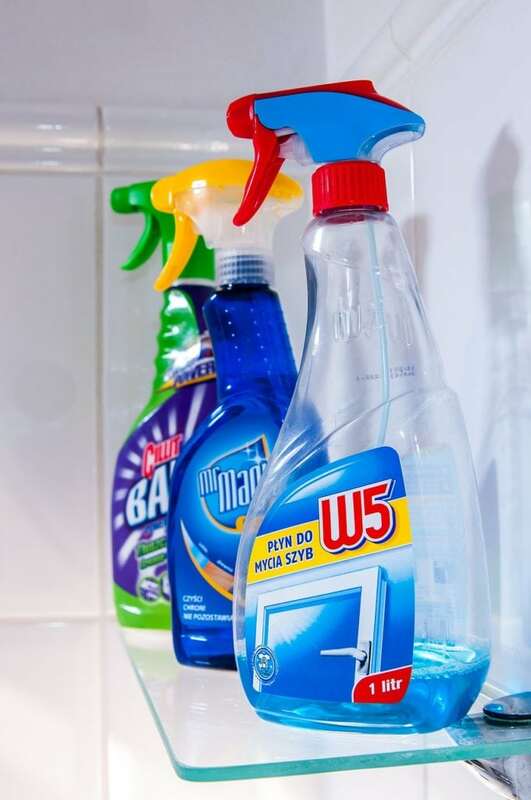 Most brand name cleaners use alcohol, and other chemicals added with fragrance to get the grime gone, but vinegar either full concentration o diluted with water does a job just as good if not better in some cases. It really depends on the types of dirt and stains, but overall, if you give vinegar a chance, ti will prove itself out. 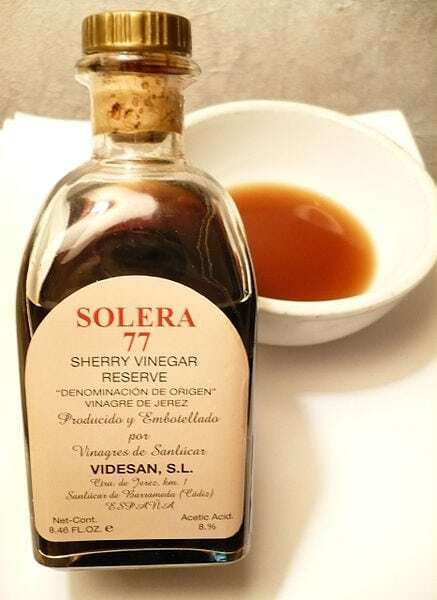 Vinegar is more than just a cleaner though, it’s an antiseptic and one of the most powerful. 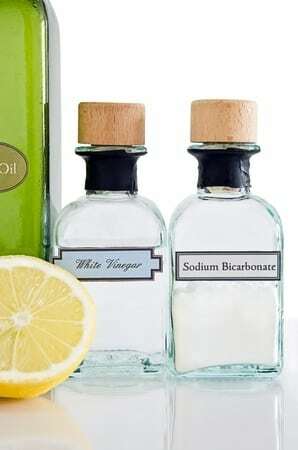 Alcohol, ammonia, vinegar, all can be used as cleaner and antiseptic, with vinegar being the safest. The sheer number of surfaces and materials you can use vinegar on are immense. There’s really no surface that it won’t work on, and when diluted well, it can act as laundry detergent does. Carpenters can appreciate vinegar as a cleaning tool. Diluted properly it will clean wood, plastic, metal. Even those hard to clean places in specialized tools. Carpentry calls for astonishing skill and tools that must be maintained in top condition always. As wood is an organic material, vinegar is a wise choice as a cleaner. Same goes with antique tools that many top carpenters use. Some being handed down through the generations. Vinegar can keep them in fine condition but it’s best to study up on the concentration needed on those various surfaces. Gardeners can appreciate vinegar as a cleaning solution. Those gardening tools can take a beating regarding dirt and a decent washing with vinegar not only cleans the surfaces but as an antiseptic is cleaning the tools even more. Same goes for containers like pots and so on. Garden decorations can benefit from vinegar as well. Put some in a spray bottle diluted with water and bring some cleaning wipes and you’re good to go. If you play video games and have an entertainment system at home, wiping down consoles, controls, and even the video screen can keep things hygienically clean and more. The vinegar won’t harm those space age plastics. That goes for toys too. If you’ve wee ones at home and you know you’ve got to clean the toys, a vinegar solution should do the trick. Sports equipment can use some vinegar for cleaning too. As usual, just make a solution and wipe off those baseballs and footballs, and tackle gear for fishing. So to answer the question, “What can I use vinegar for to clean with?”, the truth of the matter is that just about everything can be a cleaning victory with vinegar. 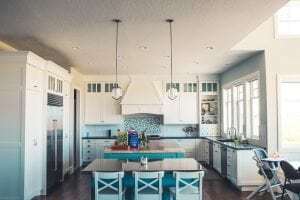 If you’re a person who is not only environmentally conscientious, but also one who likes to Do It Yourself or DIY, there are ways to keep your home clean using your own products made from regular things around the house. First of all you’ll be tackling the two tough rooms. The kitchen and the bathroom. If you have kids and there’s a room designated for play, that can be a major challenge too. Pets add additional wear and tear so you’ll need a cleaner that can really get in there and pull up that grime and disinfect. Believe it or not, good old fashioned vinegar and water can get you a long way. Add some eco friendly soap and you’ll be in business. Even baking soda comes in handy and in the right combinations will do the job as good as if ot better than the higher priced store bought items. Vinegar, water, and eco friendly liquid soap is great for the kitchen. With a spray bottle, bucket and mop, you’ll do dirt so much damage that your head will spin. You can clean tile, wood, metal, plastic, and other kitchen surfaces and cause no harm. A clean cloth or microfiber cloth and you’ll be good to go. For the tough jobs there’s the addition of baking soda. A bathroom can get a great cleaning adding baking soda to water, soap, and borax. Baking soda and liquid soap should be mixed to a nice paste then add some water but not too much and you’re good. 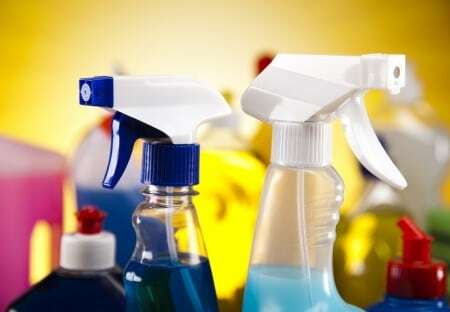 For sprays you can use either water and vinegar which works great on glass and polished metal. Home cleaning can mean green cleaning if you just stick to the basics and approach your regular cleaning the same way. There are also tutorials on how to make more products for the home using products readily available in your cabinets or at the store. You can look for comingations that might work on other products eve outside like swimming pools, kids swing sets, bar-b-ques, even washing the walls of the house. All eco friendly with means you’ll be home cleaning and green cleaning in one stroke. Tools can also be cleaned with these products and you might be surprised at how well it does. The home garage is a place that is a spotlight for home cleaning. A DIY solution can get that dust and grime out in no time. It’s not a big thing to use these kinds of products and just a bit of study will get you started. 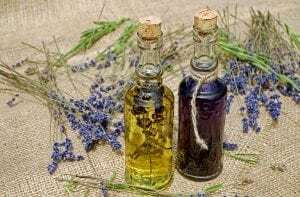 Now, in addition to the basics mentioned above, you can add essential oils to your mixtures and really see them pack a wallop. Tea tree oil is one of nature’s finest products. A little bit of tea tree oil with some warm water and liquid soap is a disinfectant that you just can’t beat. Smells good too. Another great essential oil is peppermint. Not only does it smell good but it will both disinfectant. Lavender is another essential oil goodie. Head to a store that has these oils and ask around to see what can be applicable. They’re just as good a disinfectant as the stuff you buy in the stores. 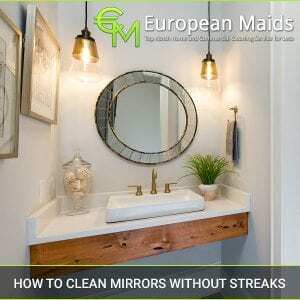 It might surprise one to find out that they can do a pro level job of cleaning the bathroom and kitchen using just some simple products that are found in just about every household. You don’t need those high profile cleaning products that cost a bit and don’t always do the job. Doing things the old fashioned way can save in money, time, and get the level of cleaning done that doesn’t harm surfaces, gets rid of the germs with basic vinegar. Vinegar is one of the oldest and most effective disinfectants and cleaners ever. So much so that some companies actually up out a product called cleaning vinegar, which is basically vinegar with a new snazzy name. Usually, just a half cup of vinegar and a half cup of water will do an entire bathroom or kitchen. This includes appliances, sinks, walls, and floors, and doors tool. Vinegar won’t harm anything and kills odors. The trick is to get a regimen in and the right tools which are simple. Nowadays the only difference is that you can use microfiber cloth thus cutting down on the use of numerous paper towels. For the sinks and toilets and showers, just spray the cleaning solution and let set for like 15 minutes. Then follow up with a damp cloth from top to bottom. Follow up with a buffing of paper towels or toilet paper. You’ll get that professional shine right on the spot. Toilets are the heavy duty job, but following a simple procedure will get the job done almost effortlessly. You spray the inside of the bowl and scrub before spraying and wait until 15 minutes after spraying. The grime and icky will disappear easily. Next spray the outside of the toilet and seat and lid and let set about 10 minutes and use a cloth the same way and buff with paper towels or toilet paper. It’s easy and highly effective. Not a lot of elbow grease needed at all. Walls are the same way. Spray, wait, damp cloth. For appliances, same thing except for the insides. Refrigerators need cleaning in a different way as do dishwashers and microwaves. Fridges need to be sprayed and with the door open, let the spray sit and then wipe down and do a thorough job on the shelves. Put the shelves back in, let dry and you’re good to go. Same with a microwave. Open the door, spray lightly, let set, damp cloth, buff with paper. Dishwasher cleaning can be done with no effort. Just a half cup of water and half cup of vinegar poured into the dishwasher and set on low cycle and voila, the job is done. Do this once a week to prevent odors and other nasty things. Finally, for floors, you just get a damp mop, after thoroughly spraying the floor or just applying directly with your vinegar water solution. When it’s almost dry, clean damp mop with warm water, to clean up and you’re done. So it’s no big major chore, just doing things simply with cleaning tools and products that are inexpensive and easy to get. Crucial Tips for Cleaning Your Kitchen! Having a clean kitchen isn’t a right, it’s a privilege. 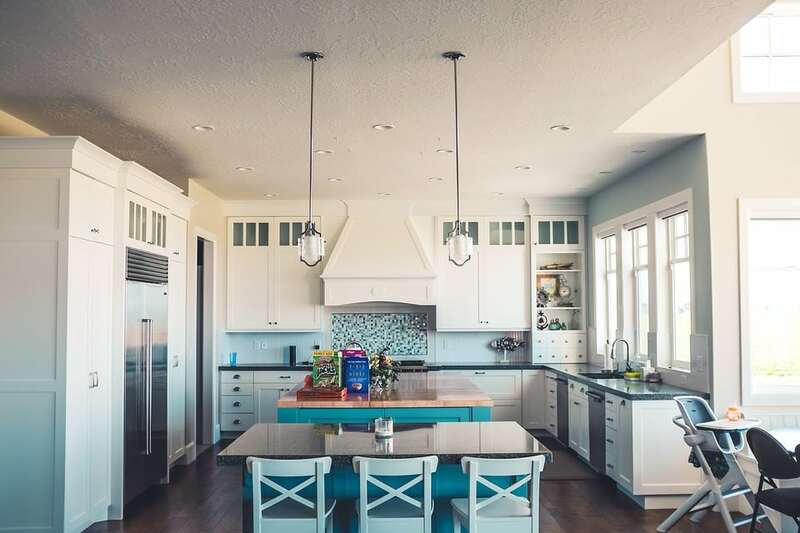 You need t be aware of how dirty your kitchen can get if you’re looking to have the most sanitized area of your house where you eat the food (which only makes sense, right?). Cleaning a kitchen is always nice, but giving your kitchen a very deep scrub down is a completely different story. There’s always going to be specific kinds of bacteria that can stick around if you aren’t careful, and clearly that’s a situation none of us need to be in (nor deserve to be). We’re going to go over a few techniques you can make use of in order to get your kitchen situation sorted out, but don’t think that reading them alone is going to get the job done! You’re going to have to get up and start cleaning if you really want a sanitized eating area, so don’t be lazy. The tips are going to be straightforward, so don’t expect an extravagant list (after all this is cleaning the kitchen we’re talking about here!). You should always try and use the minimal amount of cleaning products as possible, because more isn’t exactly better in this case. The more chemicals you’re making use of, the more you’ll have to wash off when it comes to the rinsing portion of it all. You also need to focus on cleaning out your pantry, because pantries are often crowded and leave little room for new foods to be put in. Most of the time the pantry is filled with stuff you wouldn’t even eat, which is why you should be cleaning it out monthly (or even bi-monthly). Ammonia is a very powerful compound that’s used to blast away those grease stains in your kitchen, so even though its quite pungent you should always be using ammonia to de-grease everything. Dish soap will be your best friend when it comes to kitchen cleaning, because we all know what comes along with cleaning the kitchen; dishes upon dishes. There will be dishes that need to be washed and you will need to wash them, so just get it over with. Glass shards are a very big no in any kitchen, so if you’ve broken something just bust out a piece of bread. You can use the bread to pick up the shards and make sure that nobody gets hurts! It’s a win-win situation! Carpets that appear worn out never get any second looks, nobody thinks it’s a good vibe and that’s why people are always looking to have their stained carpets clean. Most people would hire a service to come in and do it for them, which is completely fine if you have no problem with numerous amounts of chemicals. The chemicals that these companies use can be pretty hefty at times, which is why understanding that you can clean your old and stained carpets through natural means is important. It doesn’t matter how clean of a person you are naturally, and it doesn’t even matter if you strive to keep your home clean; no matter what you do your older carpets are going to turn into a stained (yet not forgotten!) mess. The chemicals that these companies regular use emit very strong odours, which means that you’ll have to deal with that chemical stench long after they’ve left your home. It might be worth it if you really want a clean carpet, but seeing as the same result can be had through the use of natural products makes hiring a cleaning service obsolete. These cleaners won’t consist of harsh chemicals and they aren’t going to stick around long after they’ve done their job, so carpet cleaning projects have never been as easy as they are these days. All you’ll need is borax and cornmeal, mix these two ingredients and you’ll have a powder that will help remove stains and keep your carpet fresh for a longer period of time. “Fresh” carpets just mean ones that look and smell great, and that’s one of those things that we can all come to enjoy. This powder makes it easier to get rid of the grime and nasty bits that are going to come off of your carpet, even if you’re just making use of warm water. Carpets needs to be kept clean if you’re going to have a house that’s well-kept, carpets are a major part of your property and should be treated accordingly. Of course the carpet cleaning companies out there are going to make it seem like you absolutely need their services, but don’t let them fool you! Take the natural route and you’re going to be in a better place at the end of it all, and that’s something you can take to the bank. In case you need carpet cleaning or rug cleaning service we recommend AFC Floor Care company or call them at 813-933-6049 for an estimate.